Soup is the story of Nancy, the CEO at Soup, Inc., a struggling company in steep decline. Nancy is questioning her decision to run the company when she steps into Grandma’s Soup House one day, a little place that quickly becomes an unlikely source of great inspiration (often times, the answer we seek is right in front of us!). With Grandma’s help, Nancy discovers the key ingredients to revitalize the company, the team, and herself in the process. 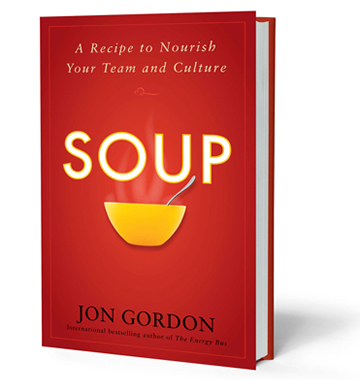 Soup is a recipe for success for anyone in any position because it delivers the powerful message of how the quality of our daily lives (school, home, community) is really determined by the quality of our relationships with others. The problem may be people, but the solution is also people…people matter and how we lead and work with them everyday matters most! So, we’re positively stirring the pot with office team as we venture in 2014 in service. 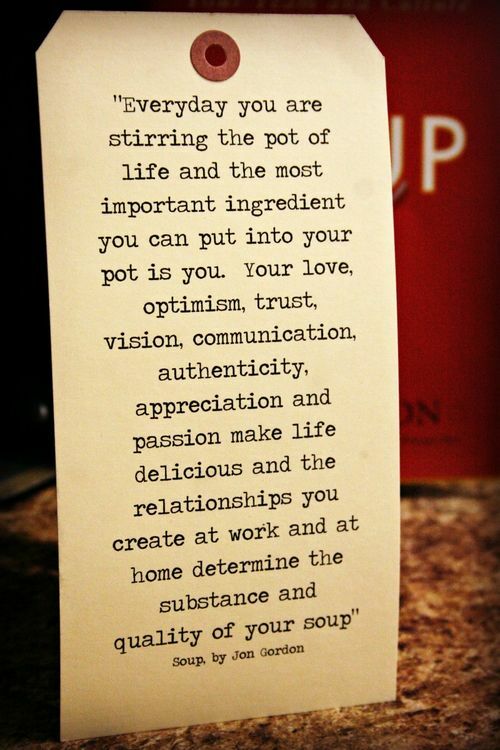 After all, the one who stirs the pot is the most important ingredient in the soup…here’s hoping you stir your pot with your personal best everyday! Thanks for those who came out today to participate in our LME Community Coffee with Dr. Stewart and his team; great job all! This entry was posted in Personal Reflections and tagged homemade soup, ingredients, Jon Gordon, Soup, stirring. Bookmark the permalink.